One of the best things you can do in your leadership role is to take care of yourself. By maintaining your well-being so you will be able to avoid burnout. This requires taking regular time to participate in the activities you enjoy. Choose the activities which will nourish, refresh, and reenergize you. Most leaders or achievers are hardwired to always be busily working on a task or doing something productive. Fostering well-being and avoiding burnout will require an intentional shift in your mindset. We need to learn and remember the value of taking time for self-care and relaxation. This means being deliberate about getting away from your job or working to do the activities you enjoy doing. Here are 4 practical activities you might want to consider implementing into your life so you will foster well-being and avoid burning out. A significant way to foster well-being and avoid burnout is to regularly spend time with and around those you care about and love (Or be in contact with them). Close friends and family members have the power to raise your spirit, hopes, energy, and overall well-being. American Animator John Lasseter said, “You can achieve all the things you want to do, but it’s much better to do it with loved ones around you; family and friends, people that you care about that can help you on the way and can celebrate you, and you can enjoy the journey.” Whenever I’m feeling discouraged or on the verge of burning out, I make sure to call or spend time with trusted people who truly know me. The act of talking or being around them can greatly raise my well-being and provide me with nourishment. Taking time every once in a while to watch TV or a movie can be very beneficial for your well-being because it can allow you to relax. It can distract you away from thinking about your leadership responsibilities or the tasks you need to get done. However, you should guard against spending an excess amount of time each week in front of the TV. Use the TV as a tool to relax and refresh yourself but make sure you don’t overuse it. Dale Carnegie insightfully stated: “Make the most of today. Get interested in something. Shake yourself awake. Develop a hobby. Live today with Gusto.” Find a hobby you are passionate about and start doing it during your free time. Carve out time in your schedule for your hobby if needed. Several hours (1-4) a week engaging in a hobby you enjoy will pay huge dividends in both the present and future. It can recharge and rejuvenate you. If you’re interested in sports or staying in shape you might consider joining an adult organized sporting team. A sporting team provides a multitude of benefits: you would be doing a sport you enjoy, be around sporting enthusiasts, and exercise while participating in the sport. You can receive these benefits while raising your well-being and avoiding burnout. Find and join the sporting team you want to be a part of then be deliberate about attending the practices and events. 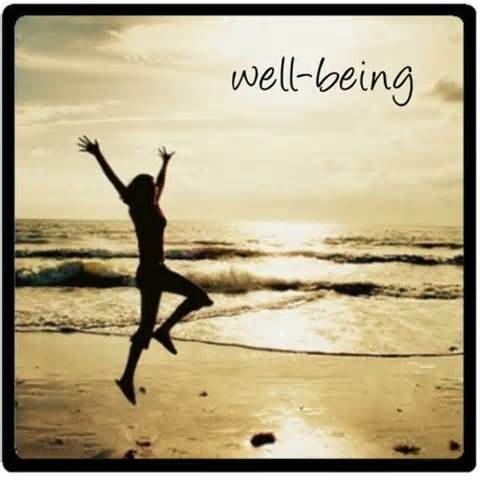 Question: What activities cause you to foster well-being and avoid burning out? I would add that leisure reading is a great way to relax in addition to TV or movies! One of the things that I like to do to avoid burnout is to take a day of rest once a week. Socialization is important, and also I just like taking a nap then, haha. Great ways to refresh and renew yourself. Reading really helps me as well. Thank you for reading and sharing. I think the most important thing to keep life in what you are doing is to be in constant contact with the Lifegiver. Constant prayer and time in the Word is a must for me to avoid burn out. Amen! He is the ultimate source of life. Thank you for adding to the topic. My wife and I usually have just one show that we watch together. I find this much better than a movie, since I usually don’t have the patience or time to sit through the entire movie. Right now we are watching “The Mentalist.” Without commercials it’s just over 40 mins which I find is just about the right amount of time I need to relax. My wife and myself watch The Amazing Race together, it our one show:) Thank you for sharing. I like to go on walks at the park or in our community. It helps me to clear my mind. Great way to increase your well-being. I also enjoy taking walks, it’s so refreshing. Thank you for adding a comment. Family is 1 then hunting and fishing. I love being alone in the great outdoors;) great post Dan! Thank you for adding to the discussion. Great prioritize Zech! Reading. Family games. Family vacations. Church. Studying Scripture. Watching my kids play sports. Movies. Coffee. Healthy lifestyle & exercise. Increasingly, the topics you choose to post about here are just very well timed for me. Have been feeling quite burned out for the last couple of months and so the question of how to work in a smarter and more sustainable way is definitely something I’ve been reflecting on. I love the friends and family point in particular. And that’s a wonderful quote from John Lassetter. I love taking time to read…especially read a fiction book. Something that is simply for my enjoyment. I also like sitting in the sunshine and listening to the world around me. It brings me peace and helps me appreciate the glory of God. What helps me to avoid feeling burnt out is taking some me time to do any one of the things you mentioned. But honestly my favorite thing to do to relax is probably nothing at all, which usually ends up being lying on the couch watching whatever is on the DVR. When I’m approaching my limit I tend to get anxious and annoyed easily, that’s when I know its time for one of these. Time to relax and do nothing are so essential. The key is to take time to relax when we notice it, that’s sometimes the difficult part. Thank you for reading and adding to the discussion. Great post. Some much-needed advice! I’m glad you enjoyed it:) Thank you for stopping by and sharing.